There are just as many solutions as there are challenges. We believe nms's customized solutions are the best plans available to customers in the manufacturing industry. For optimum "skilled professionals", "manufacturing processes", and "global solutions" that are required for manufacturing, nms can provide the most suitable solutions for customers' challenges and business strategies selected from our broad range of services. We support customers' businesses in a wide range of industries. Our customized solutions play important roles in various business areas. A major advantage of nms is our ability to offer services in many areas/industries. Based on manufacturing experience gained from working in various industries, we share underlying challenges with our customers. nms supports customers' as "managerial partners". Let us hear about your manufacturing challenges and problems. Challenge 1You want to minimize investment costs in order to be able to respond to changes that may be taking place in your production processes. Production increase that exceeds full operation capacity of customers' plants. Lack of staff members due to having to increase production capacity. By dispatching skilled workers that are required at customers' plants and utilizing group EMS plants, nms provides extra production capacity that customers' plants may not have. We can respond to production changes with minimum investment costs. Challenge 2You want to study how to optimize production sites on a global basis in accordance with specific country-related risks, BCP, etc. For instance, for customers who are considering transferring the authority of China-based production operations to ASEAN countries, we provide support to restructure manufacturing processes to be transferred to nms group EMS plants in Japan, China, or ASEAN, as well as support to secure overseas staff members.Customers can optimize production sites on a global basis with minimum investment costs by utilizing our EMS and staffing services. Challenge 3The proportion of dispatched workers compared to the total number of employees is limited to 10% or less in China, which is in accordance with the Interim Provisions on Labor Dispatch. We offer the most suitable solutions for issues related to staff hiring at Chinese plants. nms has joined a Chenglan (via a manufacturing contract) study project that is being carried out by the China Labor Dispatch Committee. 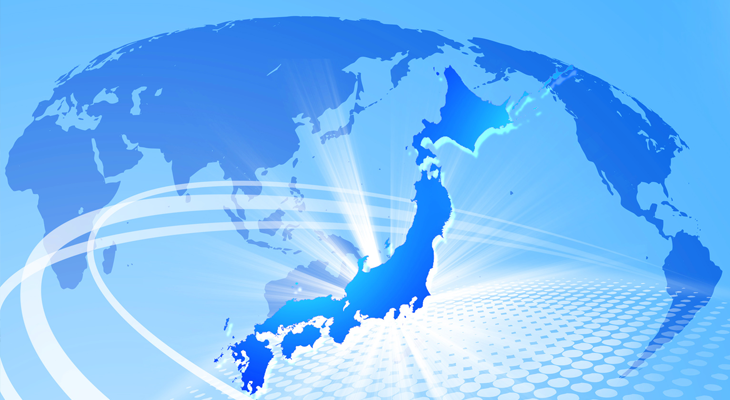 nms is the only Japanese-affiliated company. We offer "work contracts" as an alternative to employing dispatched workers, and provide employment adjustment capabilities that suits the changes that take place in customers' production processes. Challenge 4You want to improve efficiency by using a one-stop service for parts procurement, production and logistics. Parts procurement, production, inspection, delivery management, warehouse management, production, and logistics occur in series as streamlined processes.For customers who want to integrate those processes to improve efficiency, nms offers support services including manufacturing and logistics processes in cooperation with logistics partners and customers' Asset-light strategies. This is a strategy that is use to trim down assets by outsourcing operations to an external company via a subcontract in order to trim internal assets at your own production plants, etc. Each manufacturer has a range of headaches. 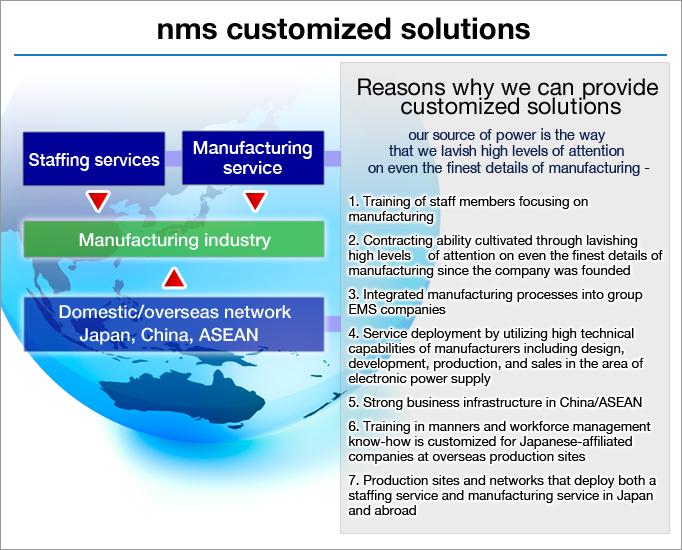 nms offers solutions that suit customers' needs.Please contact us.